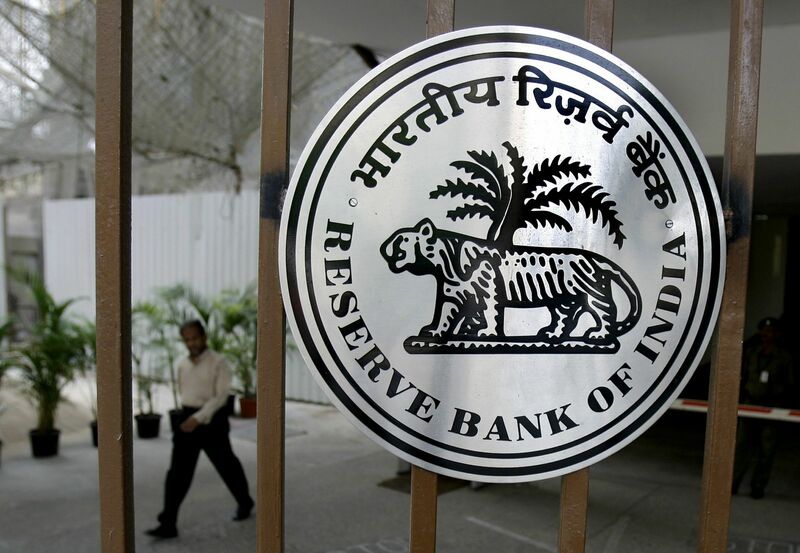 (SA) RBI Revised Its Monetary Policy; Reduces Repo Rate & Reverse Repo Rate. Reserve Bank of India modifies its monetary policy. RBI Governor Duvvuri Subbarao has slashed CRR and policy rates several time since he took the charge. Banks are under significant liquidity pressure and it is evident that the banks are now withdrawing money under the central bank’s Liquidity Adjustment Facility (LAF) or Repurchase Agreement (Repo). Is the RBI cogitating the another rate hike to contain inflation under the compressed liquidity situation? Find out more. The Reserve Bank of India Headquarters in Mumbai. On Tuesday Apr 21, 2009, India’s Central bank – Reserve Bank of India has announced its Annual Policy on Macroeconomic and Monetary Developments. RBI has slashed its policy rates by 25 bps. BPS is Basis Points which should be defined by One Hundredth of a one percentage point 1/100th of 1%. After the reduction in policy rates, RBI’s Repo rate stands at 4.75% and Reverse Repo rate stands at 3.25%. Repo means repurchase agreement in which banks sell government securities to the RBI in exchange for cash and agrees to repurchase those securities from the RBI at a later date which is the Reverse Repo Rate. While addressing to media, RBI Governor stresses that the bank should pass-on the reduction benefits to the consumers. India has witnessed the steep fall in demand for a credit. The Indian Economy has also got affected by the economic crisis in developed countries. Since mid of Sep 2008, when the major financial institutions were collapsed, the India’s central bank has reduced its policy rates and CRR by number of times and SLR by 100 bps since than to prop the Indian economy up. India’s money supply dropped to 18.4% in compare to 21.7% last year which signifies the deceleration in credit market and the capital inflows. In the last few months, Indian Rupee has depreciated by more than 18% and likely to depreciate further due to higher risk aversion in Rupee denominated assets, acute deleveraging due to falling exports which resulted fall in corporate earnings and strong demand for US Dollar due to huge amount of selling in equity markets. However, since Mar 09, financial markets have performed better in compare to its peers and other developed markets due to attracting and cheap valuation of the India Incorporated. By taking these factors in mind, RBI is taking precise decision on a periodic basis to respond to the global financial crisis and to make a favorable economic environment. India’s external debt and national debt has reached the level of 49% to the annual gross domestic product, however the strong foreign reserves would ensure the external stability. This research has been Superannuated by the VMW Research Team. This research might not be applicable in today’s economic context. RBI Responding To The Economic Downturn, Cut Repo Rate And Reverse Repo Rate. Day after day, we are witnessing the bad news coming from across the world. In the Year 2009, day by day, the condition of the global economy is deteriorating as the financial crisis has spilled over from a single continent to the across the globe. The effect of the global downturn can be felt in India too to a certain extent, perhaps the Indian authorities are responding on a timely basis to weather this horrific economic catastrophe. In response to that, India’s central bank – Reserve Bank of India (RBI) has further eases the monetary policy on Wed, Mar 4, 2009 by slashing policy rates by 50 bps with immediate effect. RBI has reduced the Repo rate by 50 bps to 5.0% from 5.5% while there is also a reduction of 50 bps on reverse repo front by 50 bps to 3.5% from 4.0%. However the CRR remained untouched. According to the RBI, there is no need to reduce the Cash Reserve ratio as of now, but will be considered if needed. Since the Oct, 2008 RBI has reduced the policy rates, CRR and SLR by number of times in order to maintain the flexibility in the banking system and the functioning of the Financial Markets in an orderly manner. Repo Rate: is a rate at which, RBI repurchases Govt Securities from the commercial banks to expand the money supply in exchange of cash. Reverse Repo Rate: Vice versa of Repo rate means to sell Gov’t bonds in exchange of cash. CRR: is a Cash Reserve Ratio. Banks kept some portion of their deposits with the RBI at a prescribed reserve rate. SLR: is the Statutory Liquidity Ratio at which banks need to kept short term securities such as Cash, Gov’t Securities, Precious Metals like Gold and Silver and other short term securities. BPS: is Basis Points which should be defined by One Hundredth of a one percentage point (1/100th of 1%). It is commonly used in expressing differences of interest rates. RBI Cuts Policy Rates And CRR To Enable Banks To Provide Credit At Cheaper Rates Meanwhile, Govt Announced The 2nd Stimulus Package. RBI cut Repo rate, Reverse Repo by 100 bps to 5.5% and 4% respectively on the other side, there is reduction of 50 bps on CRR to 5%. CRR cut to release Rs. 20,000.00 Crores ($4.08 billion) on the other side, Govt has announced the second stimulus package to defend the economy from the global downturn. Click here to read the latest RBI Action on Policy Rates. As the global financial situation is continue to exacerbate and the official announcement of Recession by the advanced economies like the United States, Japan and the Euro Zone; the Reserve Bank of India (India’s Central Bank) is aggressively responding to the crisis to maintain the sound banking system via adequate amount of liquidity and sustainable economic growth to achieve targets. on 2nd Jan 2009, RBI has cut Repo rate and Reverse Repo rate by 1 percentage point to 5.5% and 4% respectively and Cash Reserve Ratio (CRR) by 50 bps to 5%. Now, its assume that the reduction in policy rates and CRR of central bank would make possible for the banks to cut their lending rates in order to provide cheaper credit. On the same day, Deputy Chairman of Planning Commission, Mr. Montek Singh Ahluwalia has also announced the second stimulus package to the Indian Economy to weather the global financial crises with success. The second stimulus package would allow the companies to borrow more from abroad through ECB and FIIs to invest more in the country. This package also gave attention to the Housing sector and Infrastructure sector by providing liquidity of Rs. 25,000.00 Crores ($5.21 billion) through investment grade papers. In order to encourage infrastructure projects in the country, Govt has allowed the India Infrastructure Finance Company (IIFC) to raise upto Rs. 10,000.00 Crores ($2.08 billion) through tax free bonds for refinancing the bank lending of longer maturity to eligible infrastructure bid based Public Private Partnership (PPP) projects. This will mainly enables to fund the projects like Highway and Port projects. Apart from that, to protect the Micro, Small and Medium Entreprises (MSME) from the economic downturn, guarantee cover under Credit Guarantee Scheme have been extended from Rs. 50 Lakhs to Rs. 1 Crores with a guarantee cover of 50%. BPS: is Basis Points which should be define by One Hundredth of a one percentage point (1/100th of 1%). It is commonly used in expressing differences of interest rates. APT provides investors with statistical market risk models, performance & rish analytics and portfolio optimization & construction tools. Banks Cutting Interest Rates in order to make Cheaper Home Loans. However, banks are only announcing the rate cut on loan upto Rs. 2.0 million. ($42,000). No relief for the existing borrowers. A Construction site in New Delhi. Subsequent to the recent RBI’s rate cut announcement, the banks are responding and cutting down the interest rates on home loans by 50 bps to 100 bps.The interest rates are vary from bank to bank. If the borrower seeking for the home loan of Rs 2,000,000.00 (Rs. 2 million) or below, then the banks are offering loan at the rate between 9.5% and 13% on floating rate and fixed rate respectively. However, the above rates are only applicable on new home loan application for the loan of upto Rs. 2 million. (Rs. 20 lacs). Since the property prices in Tier 1 cities are not available in the range of Rs. 2 million or so, the rate cut announcement by the banks are inappropriate and specially for the existing borrowers. Banks are only giving lower interest rates on cheap home loan and only to the new customers. The existing customers are still unhappy and didn’t get any benefit from the RBI’s Repo rate cut and Reverse repo cut. That’s why, the developers are morose too with the Indian banking Association’s (IBA) move. Many developers are against with the banks’ decision to not allowing the cheaper loan on more than Rs. 2 million. The big question arises that, Why banks are averse to offer cheaper home loan across the board? When the interest rates went up in the last few months, then banks have raised the rates on all type of loans, whatever the loan size, it doesn’t matter. Now the RBI is cutting its benchmark interest rates, banks are not doing so. Why? Many Banks have argued that the deposit rates are above the RBI’s benchmark interest rates and they cannot cut the borrowing cost unless the deposit rate soften. That is the reason the banks aren’t cutting down the interest rates. According to the PSU banks’ balance sheet, over 80% of home loan assets comprise the loan portfolio of Rs. 2,000,000.00. In order to cut Prime Lending Rate (PLR, the rate at which banks lend to their best customer), the banks need to cut down their deposit rates, so that the lower cost of credit will available to everyone. 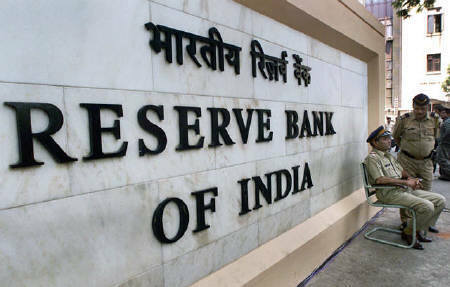 RBI had cut the Cash Reserve Requirement (CRR) by 350 bps in the last 3 months to improve the liquidity in the system however, the banks’ main source of liquidity is from the deposit from the customers and they cannot cut deposit rate as they don’t have enough liquidity. Main sectors are also suffering from the higher interest rates. In addition to the real estate sector, SMEs are also facing the burden of higher interest rates. Recently the World Bank have agreed to lend upto $14 billion (Rs. 67,000 Crores) in the next three years, which would help to recapitalize the state run banks. As the liquidity dried up, the banks are unable to access long term financing in order to focus on Real Estate, Small and Medium Scale Entreprises (SMEs) and infrastructure.